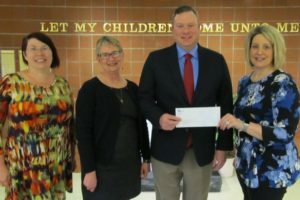 John Oberlin, Vice-President and Community Banking Manager/Business Development Officer at S & T Bank, visited DuBois Central Catholic recently to present a check to Headmaster Gretchen Caruso. Taking part in the presentation were (l-r) CFO Belinda Vasbinder and Gwen Auman, Director of Advancement. S & T Bank supports the S.T.A.R. Foundation through participation in the Pennsylvania Educational Improvement Tax Credit Program (EITC). 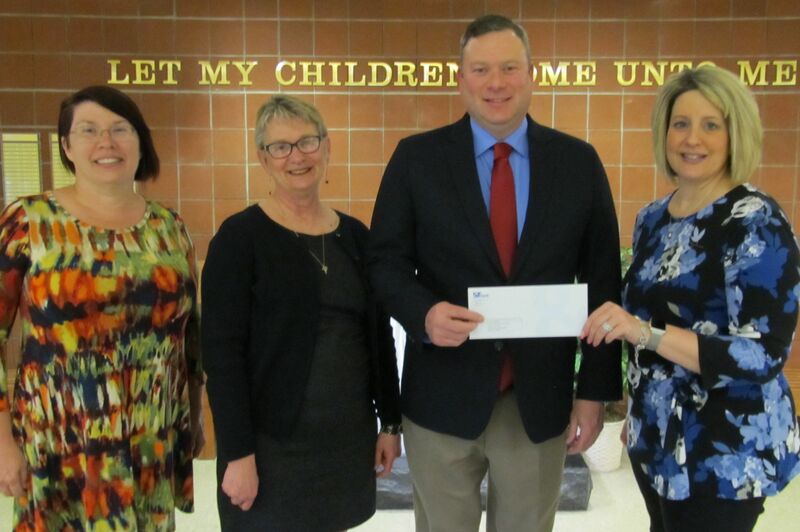 This foundation provides tuition assistance for qualifying students attending DuBois Central Catholic.